Term one is done and now it's time for fun, so bring the family to Luna Park more than once during the Autumn school holidays! From 6 to 28 April, Melbourne's ultimate destination for fun will be home to creative art spaces, active acrobats, yummy, scrummy egg hunts and all the fun of the fair! Throughout the school break, there will be heaps of super-fun activities for all ages, so it would be a shame to be entertained just once, especially with a special bonus week thrown in! Visit during the school break and enjoy the many attractions, swinging high on all the thrilling rides, including popular newbies - Speedy Beetle, Moon Balloons and sweet mini-train Betty Choo Choo. Grab single ride tickets, or even better upgrade to Unlimited Ride Tickets and enjoy the excitement all day long. For the creative bunnies out there, Art Spaces will be set up the weekends of 6 & 7 April and 13 & 14 April where the littlies can let rip with their painting! To celebrate the release of the family film Wonder Park, 35 easels will be set up for the kids to create a Wonder Park-inspired painting for their chance to win fun movie merchandise prizes! When Easter arrives, make sure to get to the Park in time for The Great Luna Park Easter Egg Hunt happening on two days back-to-back. This year, all the choco-mad kids can once again hunt for more than 30,000 Chocolatier eggs on Saturday 20 April and Easter Sunday 21 April. 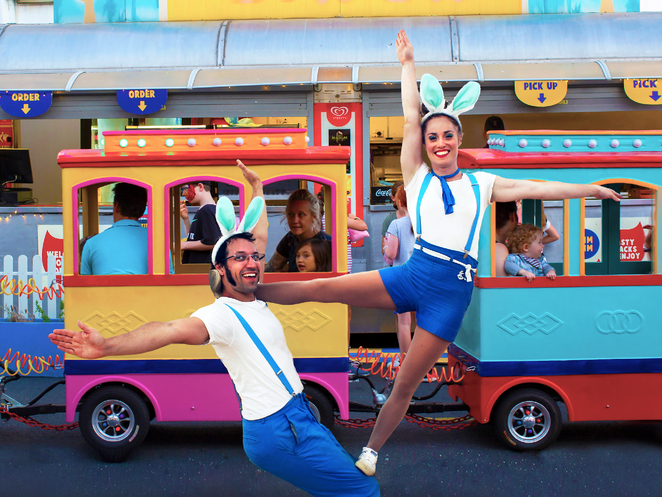 Make sure to watch out for resident mad-as-mad Mad Hatter and the energetic Easter Bunny Acrobats bouncing about exuberantly entertaining everyone on both days! The hunts will run from 12.30pm until 3.15pm and entry to this activity is free with an Unlimited Ride Ticket. 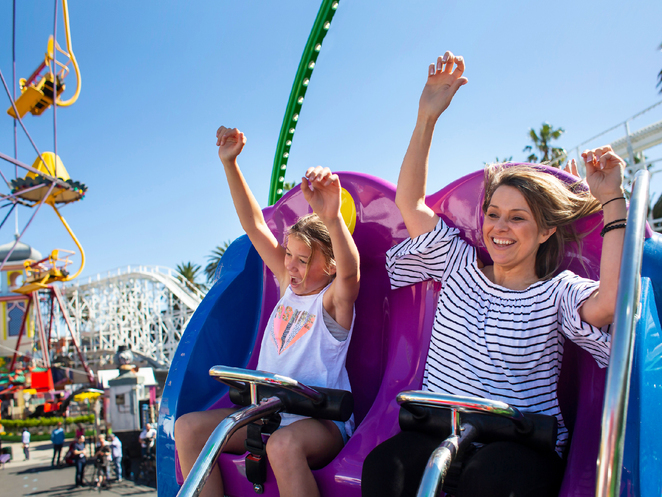 With so much on offer right throughout the school holidays during April, consider making it two dates instead of one at Luna Park. Begin the month by enjoying the action and the art followed by more action and plenty of eggs to be had later in April. And if you can't make it until towards the end of the month, don't forget there is an extra special week in the mix from 19 to 28 April! Start planning the ultimate school holiday fun today by heading to lunapark.com.au/event/autumn-school-holidays. Buy your tickets online and you'll be able to take advantage of our Express eTicket queue when you first enter Luna Park.